India is viewing Beijing and Islamabad as potential threats and is suspicious of Beijing's One Belt and One Road initiative, said the report. Beijing is willing to mediate in India-Pakistan disputes, read the report. Beijing: India should not "overly interpret" Beijing's military development or exaggerate concerns over the China-Pakistan Economic Corridor, a state-run Chinese daily said today, days after the Indian Army chief suggested New Delhi carry out counter-encirclement of its "future adversaries". The article in Global Times, a ruling Communist Party publication, said India worries that China was intentionally meddling in India-Pakistan disputes, "utilising the CPEC (which runs through the Pakistan-occupied Kashmir) to grant legitimacy to Islamabad's control over the disputed region." "India is viewing Beijing and Islamabad as potential threats and is suspicious of Beijing's One Belt and One Road initiative and the China-Pakistan Economic Corridor (CPEC)," it said, adding that "India is exaggerating the situation". "Beijing respects New Delhi's sovereignty concerns, and is willing to mediate in India-Pakistan disputes, on the condition that it accords to the wishes of both India and Pakistan," it said. The remarks in the Chinese daily came after Gen Bipin Rawat last week said India must have close ties with Iran, Iraq and Afghanistan considering the security matrix. He said such a strategy will create a two-pronged dilemma for Pakistan, and also help tackle issues with the other difficult neighbour China, suggesting New Delhi should "carry out counter-encirclement for our future adversaries." Referring to his remarks, the article said China advocates peaceful development and it has and will "never seek hegemony in the region." China's defence budget will rise by about 7 per cent this year, the lowest since 2010 and Beijing's military development is "part of its national construction, and New Delhi should not overly interpret it," it said. The Indian media suggests that China's military expenditure for 2017, about 1.3 per cent of the GDP, is three times higher than that of India. "Frankly speaking, even if New Delhi's military spending is boosted to the same level, India still lags behind its northern neighbour in its military capability. For instance, India's development of aircraft carrier is very slow despite its early start," it said. China has one refurbished aircraft carrier and recently launched a homemade carrier, which was expected to take a few years to operationalise. A third carrier is reportedly under construction. 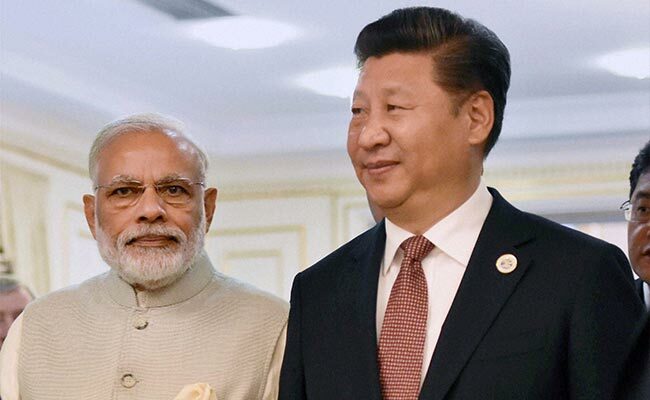 The official media again urged India to join the ambition Chinese project to link China with Eurasia through the Belt and Road (B&R) initiative amid concern here about New Delhi's apparent silence over participation in this week's B&R summit. At least 28 heads of state and government, including the prime ministers of Pakistan and Sri Lanka, have confirmed their participation in the summit Beijing is projecting as a global acceptance of the initiative. The article said "instead of being overly concerned about China's rise, New Delhi should consider taking an early role in B&R initiative. China's infrastructural initiative will not only bring economic benefits, but also fulfil India's ambition to be an influential economic power in the region." It urged India to abandon its "suspicions" and adopt a pragmatic attitude towards China's and Pakistan's development. Meanwhile, some Chinese thinktanks warned that India's absence at the B&R summit could affect the active participation of several countries in the region. Prof Lin Minwang of Institute of International Studies of Fudan University said last week that India's participation was important as it constitutes 80 per cent of South Asia's economy. "If New Delhi is reluctant to get involved in China's development plan, other countries in the region will also be impacted when participating in the B&R initiative. That's why the Bangladesh-China-India-Myanmar Economic Corridor's (BCIM) progress is very slow," Lin said. The B&R initiative includes a maze of roads and port projects passing through a number of countries to connect mainland China to markets in Asia and Europe. While CPEC is highlighted as the "flagship project" of the initiative, it also includes BCIM, New Eurasian Land Bridge, China-Mongolia-Russia Economic Corridor, China- Indochina Peninsula Economic Corridor and 21st Century Maritime Silk Road.